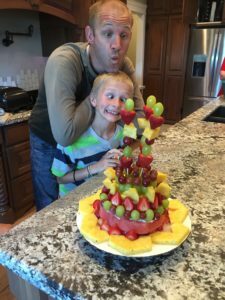 Do you have a child that just does not like CAKE……or in my case a husband!! I love making 3D cakes and decorating them with fondant, like this one! My kids love it and I enjoy it! However, it is not near as fun if the person you made it for doesn’t eat it! For those people who don’t like cake, and don’t end up eating your wonderful creation, here are a few ideas you can do instead. You still get to sing over a “birthday cake” and still super yummy! 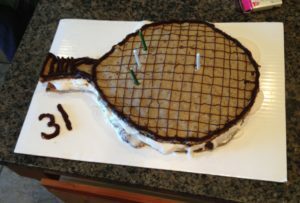 #1 Make a cake out of cookies! My husband loves cookies and ice-cream, so I decided to combine the two and make him a cookie ice-cream cake. This can be tricky, especially when the outside cooks faster than the center. It turned out delicious and my husband loved it! Create the shape you want with raw dough. Make it smaller than you want, it will spread as you cook it. With multiple spatulas, and extra hands if you have them, place the other cookie on top of the ice cream. Keep in the freezer and remove about 15 minutes before you serve to allow the cookie to soften a bit! I didn’t have it in the freezer for very long before we served it. It was delicious! You could also make a cake out of individual cookies too. 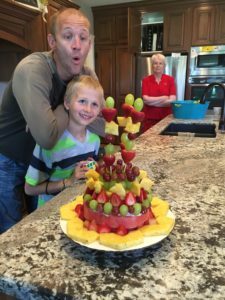 #2 – MAKE A RICE KRISPY CAKE! Believe or not, the bottom two layers of this cake is entirely make of rice krispies! DELICIOUSNESS and it’s GORGEOUS! 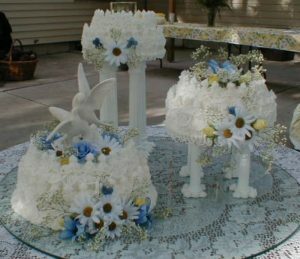 This was my husband and I’s wedding cake! It was a hit and everyone loved it! You can do soooo many things with rice krispies. 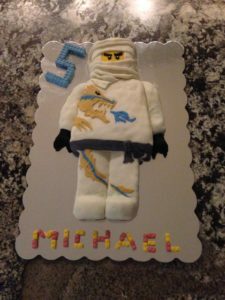 You can still do the 3D cakes and just cover it with fondant! Win-Win for everyone involved! Some more deliciousness! You cannot go wrong here! #3 MAKE A FRESH FRUIT CAKE! This is our favorite to make and we do this the most. There are sooo many ways you can do this! The kids love helping and being a part of making the fruit cake! This is the ONLY cake that usually gets all eaten the day we serve it! 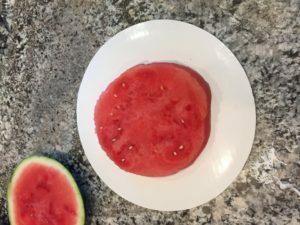 Start with watermelon as the base. Make sure you cut it as even as possible so it lays flat. 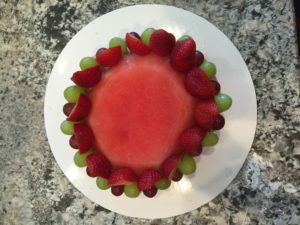 You can put one of your favorite fruit dips and slather on a layer in between two layers of watermelon. 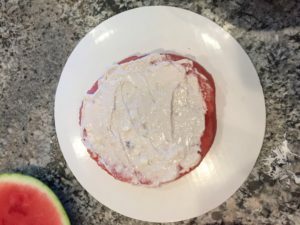 Place another layer of watermelonNow you start having fun and putting your kids to work! 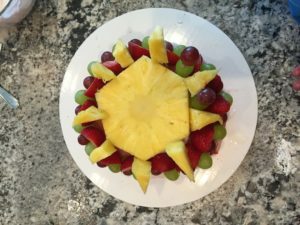 Get a lot of tooth picks and start filling around the edges with fruit. 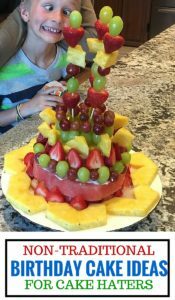 You can add fruit kabobs to add height. You can do it anyway you want with whatever fruit you have on hand! It is FABULOUS! 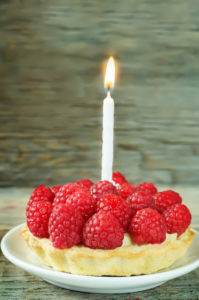 WHAT ARE YOUR IDEAS FOR A NON-CAKE BIRTHDAY CAKES?